Approximately every two minutes a memory of war disappears as the men and women who fought our nation’s battles pass away. Midland Care Hospice Services has pledged to serve the unique needs of veterans and their families through a partnership with the National Hospice and Palliative Care Organization’s We Honor Veterans initiative. Following three years of program development, Midland Care Hospice Services was proud to earn NHPCO’s highest recognition in 2014: The Fourth Star. Only a handful of hospice programs across the United States have earned all four stars, since to designation requires multiple years of intense program development to best serve the needs of veterans and their loved ones. Since 2014, we have continued our work in this area. 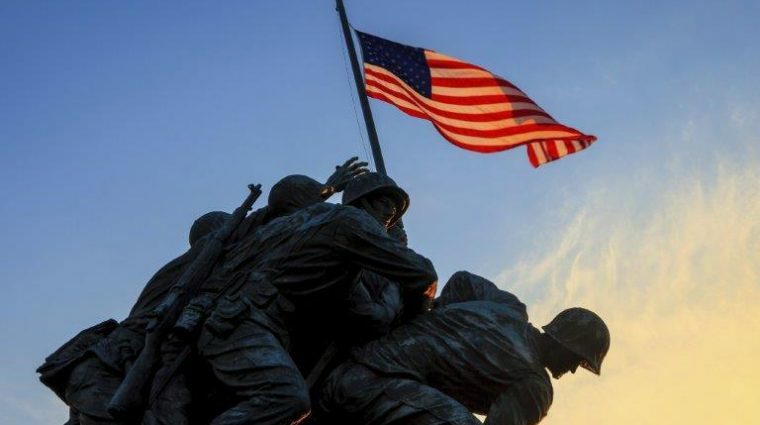 We consider serving our nation’s heroes to be an ongoing effort. We built organization-wide capacity to provide quality services to veterans and their families, including asking about veteran status in admissions, draping deceased veterans with a flag while being transported, training staff, and including service branch at all memorial events. We developed and strengthened partnerships with other organizations serving veterans including the Colmery-O’Neal VA and Heartland Honor Flight. 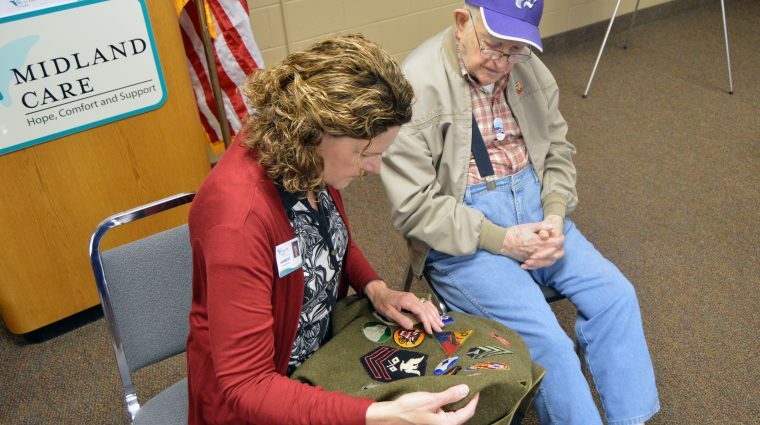 We developed outreach initiatives for veterans and began participating in local Veteran’s Day activities. We demonstrated the impact of our efforts through thorough evaluation of all veteran-specific programs. We began matching volunteer veterans with client veterans. We connected youth with veteran programs to pass experiences to the next generation. Learn more about the National Hospice and Palliative Care Organization's We Honor Veterans initiative. 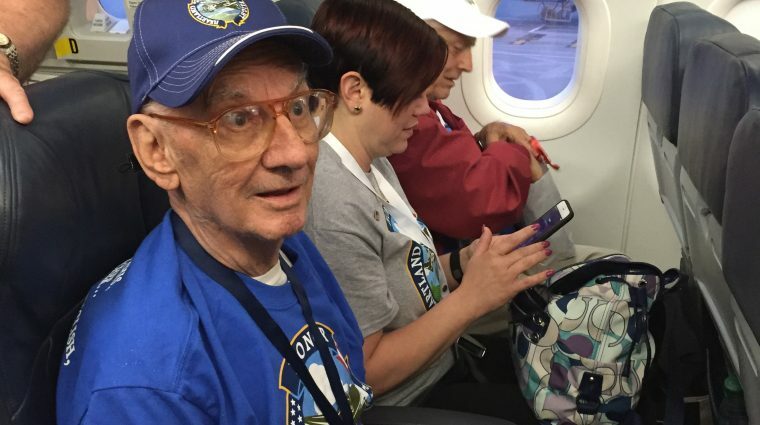 Read about Heartland Honor Flight's efforts to get every veteran to Washington D.C. to visit and reflect at their memorials. Join us for our annual Veterans Day Celebration at Midland Care. The event is free and open to the public.